Technology is not the primary obstacle to efficient life-cycle management of the built environment! 1. Lack of a robust, shared Ontology. 2. Refusal to adopt collaborative construction delivery methods such as Integrated Project Delivery (IPD) for new construction, Job Order Contracting (JOC) for repair, renovation, sustainability, and minor new construction projects. 3. 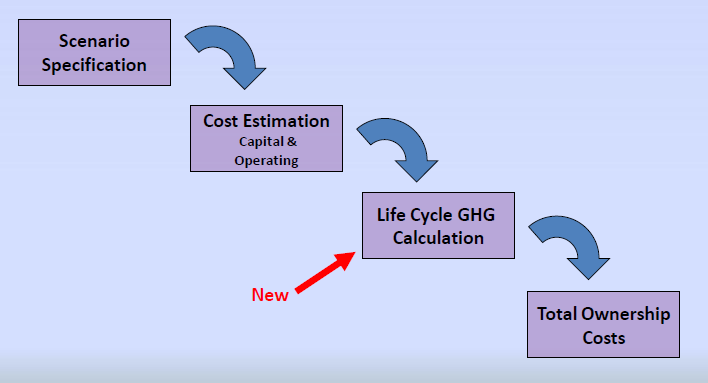 Current focus upon first-costs vs. life-cycle costs. Standardized terms, definitions, metrics and the deployment of “best practice” business process is not rocket science. Unfortunately too many AECOO participants and stakeholders need build their level of awareness of the above vs. ad-hoc and antagonistic processes such as design-bid-build, or even design-build. The latter is a good attempt to be IPD-like, but is not IPD. 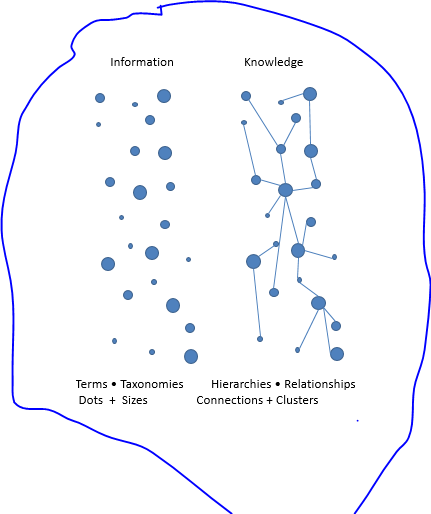 The development and application of robust standardized terms, taxonomies, hierarchies, etc. 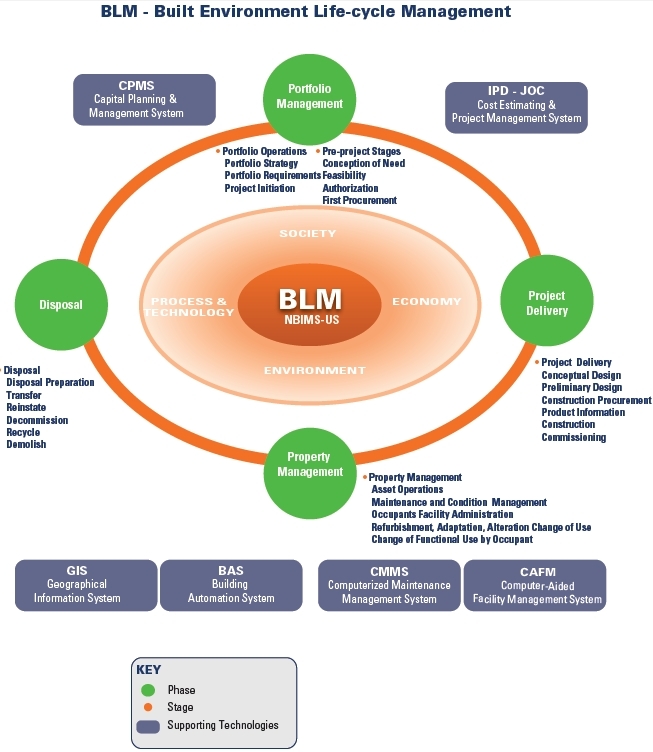 will enable BLM/BIM. We need to move faster to deal with critical global Economic and Environment realities (global warming, diminishing natural resources, new competitive landscape …). “Outcome-based Pathway” – The New Mandate for Energy Compliance? The following addition is being proposed to the International Green Construction Code (IgCC). energy using elements associated with the building site are in full operation in accordance with Equation 6‐3. of actual energy use in accordance with this section. eligible to demonstrate compliance with this code in accordance with Section 60X. in accordance with Section 60X.1.2 and Equation 6‐4. a. Climate zones as determined in accordance with by Section C301 of the International Energy Conservation Code. b. Use and occupancy as determined by Chapter 3 of the International Building Code. The EUIa shall be determined in accordance with Equation 6‐4 and Sections 60X.1.2.1. with Sections 602.1.2.2 and 602.1.2.3.
production by a factor of 1.
other form of measurement in accordance with Section 603. EUIr shall be adjusted based on the weighted area average of the use or occupancy. accordance with Sections 60X.2.1 and 60X.2.2 and Equation 6‐5. Temporary Certificate of Occupancy as authorized in Section 111.3 of the International Building Code. minimum, the time periods and square footage of the building occupied by all building tenants. be deemed non‐compliant and be issued a violation. Attend a presentation titled Climate Change Adaptation for Built Infrastructure. During this presentation, Kim Magraw (US Department of Interior), Bridget Deemer (Washington State University), John Hall (US Department of Defense), and Ann Kosmal (General Services Administration) will provide the latest update on the preliminary results on research and information needs identified in the FY 2013 Agency Adaptation Plans. If you are planning to attend in person, please register on-line at the following website to ensure that your name is on the security guard’s sign-in sheet. Above is from the Federal Facilities Council and shared via 4Clicks.com – leading provider of cost estimating and efficient project delivery software and services for JOC – Job Order Contracting, SABER, IDIQ, MATOC, SATOC, MACC, POCA, BOA, BOS and more. Featuring an exclusively enhanced 400,000+ RSMeans unit price cost database and integrated contract, project, and document management, as well as visual estimating and electronic quantify takeoff (QTO). 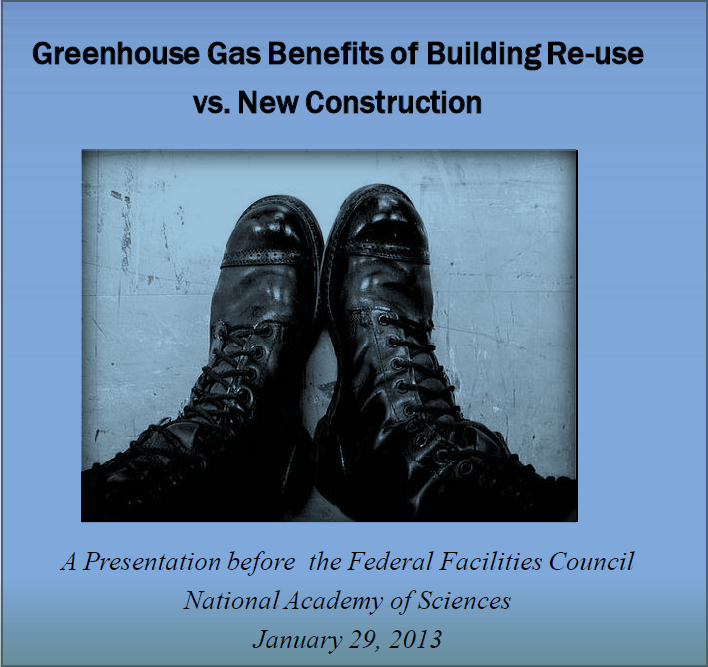 Reusing existing buildings achieves a 15%+ higher return on investment and 20% reduction in greenhouse gases. It is less costly and more sustainable to reuse existing buildings. With 345,000 buildings, with over 105,000 buildings more than 50 years old, the importance of efficient renovation, repair, and sustainability of existing buildings is paramount. Cost estimates and construction bid requests should include materials quantities in addition to costs to evaluate and validate GHG impacts. Efficient project delivery methods are of critical importance to the task of sustainability and life-cycle management of the built environment. Job Order Contracting ( JOC ), and SABER are proven project delivery methods for renovation, repair, sustainability, and minor new construction. JOC and SABER are a form of Integrated Project Delivery for existing buildings and infrastructure. •Fast and timely delivery of projects. •Consolidation of procurement – lower overhead cost and procurement cost. •Contractor and owner efficiencies in prosecution of the work. Development of a partner relationship based on work performance. •Virtual elimination of legal disputes, claims and mitigation of change orders. •Standard pricing and specification utilizing a published unit price book (UPB), typcially RSMeans-based, resulting in efficient and effective estimating, design, and fixed price construction. “IPD Lite” for Existing Buildings. Consolidates procurement to shorten Project Timelines and reduce procurement costs. Long Term Facility Relationship increases productivity and enables reiterative process improvements. Quality and performance incentivized through IDIQ form of contract with minimal guarantee and clear maximum volume. The most immediate and promising route to reducing building fuel, electricity use and carbon emissions lies in more efficient operation of existing buildings. discrepancies exist between design expectations and actual energy use. percent of the buildings that will constitute New York City’s real estate in 2030 are already standing today. Much of the variation in energy use among buildings and between an individual building’s design and actual usage is due to differences in operations. This includes both decisions on when to replace aging capital equipment and day-to-day operating schedules and maintenance choices. 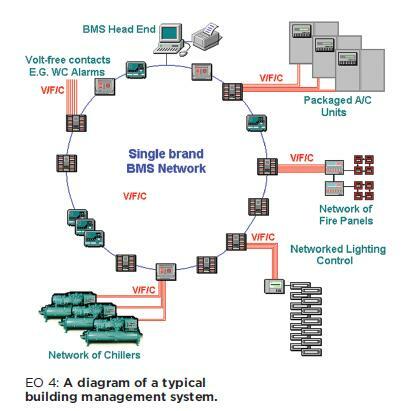 Building operations are often neglected, and maintenance is frequently deferred, steps that can lead to excessive energy use and high operations expenses. less attention. In many commercial buildings, there are split incentives: If leases include energy expenses as a mark-up on the utility’s bill, then the owner has little reason to promote efficient operations in the tenants’ spaces. Finally, New York City’s elaborate codes and laws governing buildings have overwhelmingly focused on assuring health and safety, rather than energy efficiency. and maintenance in New York City buildings. For example, the U.S. Maintenance program provides nationally recognized certification that a building is being run efficiently. So does the U.S. Energy Star program for buildings. wide variety of programs, including the Service Employees International Union’s Local 32BJ’s Thomas Shortman Training Program and the associated 1000 Green Supers initiative. Other training programs include Local 94 Operating Engineers’ suite of training courses, and the International Union of Operating Engineers Local 30’s Apprentice Training and Skill Improvement Training courses. These have all provided valuable improvements in the capabilities of New York City’s building operators. by tenants and building operators. If approved, meters will be required to measure electricity use by major systems and tenant spaces, and automated energy tracking will be required for new, large buildings. malfunctions. One proposal would establish reasonable limits on heating and cooling temperatures, hopefully putting an end to the need to wear sweaters inside of freezing movie theatres during the dog days of summer. inspections, and periodic tune-ups of building systems. in a multi-famliy building can reduce apartment electricity consumption by approximately 17%-27%. changes in procedures and equipment. square feet must be retro-commissioned, retuning the major building systems to ensure they all work together correctly. A similar proposal was incorporated into the Greener, Greater Buildings Plan, which became law prior to the issuance of this report. the issuance of this report. appropriate training and certification requirements. Locate your building’s annual total energy use intensity on the x-axis. the percent of similar buildings in the nation less efficient than yours. Energy use intensity distributions of U.S.